Last season, every influencer and editor on the front row wore a checked tweed blazer; this season, that has translated to the catwalk, with the heritage fabric making a quiet comeback. At Alexander McQueen, the presentation tipped the hat towards the Highlander style in a dress hemmed in black leather. Known for a wearable approach to fashion, Sandro offered a light beige tweed cardigan that works well over a dress as well as matched with denim. Leave it to Gucci to add yet another texture to its “more is more” aesthetic. 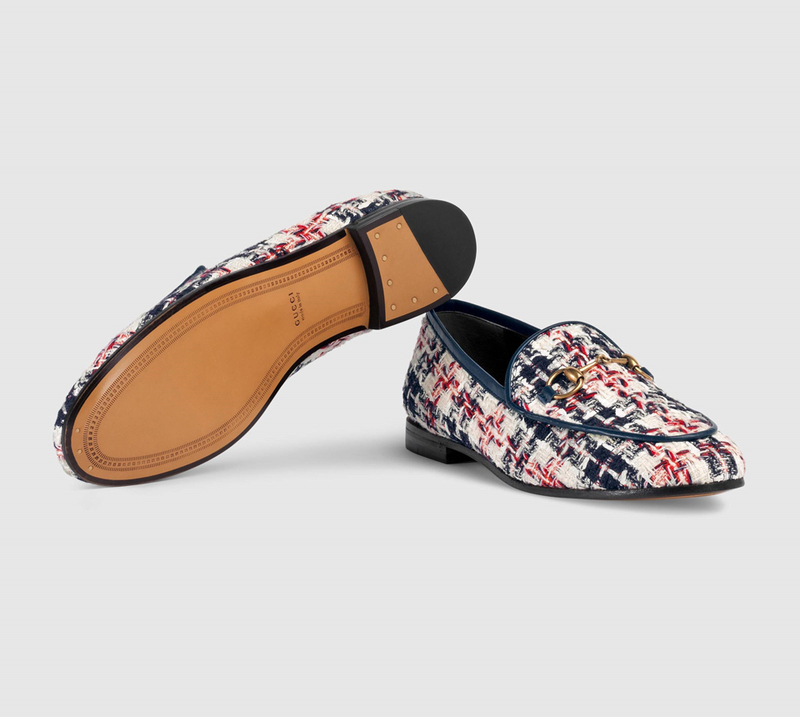 For brand enthusiasts, may we suggest Jordaan loafer, the most subtle Gucci over the top item.